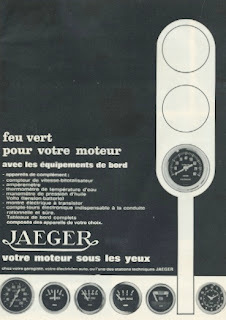 Some time agoo I showed some pictures of Jaeger dash in later Citroen models. 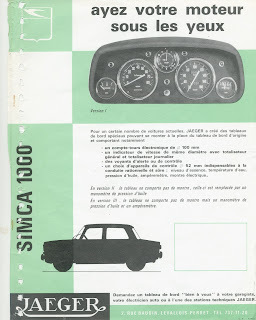 Here pictures of the GS models both LHD and RHD. The X2 and birotor had standard an tableau with Jaeger instruments. 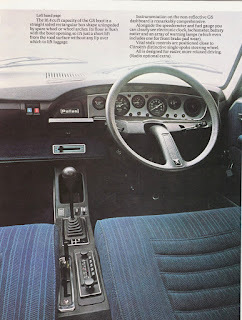 Note the difference between the layout of this tableau in the LHD and RHD car. 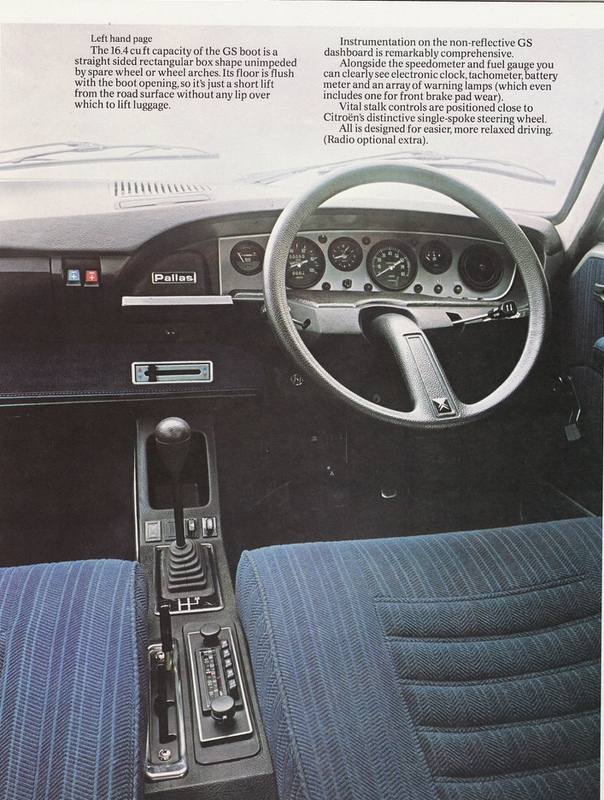 In the 1975 brochure of Jaeger there was a tableau special with chrome bezels. 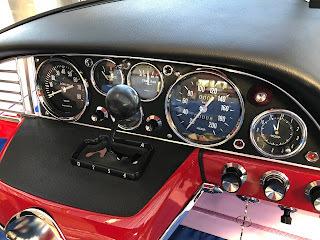 On the internet I found one with black bezels.